UCSD student fees will increase by nearly $50 per quarter for 2014–15 following the passage of the transportation referendum on Friday, May 23. The results, revealed at Round Table Pizza on Friday afternoon, come after a week of voting and advocacy on both the supporting and opposing sides of the issue. According to the A.S. Council elections webpage, the student body passed the referendum with 4,867 “yes” votes and 1,780 “no” votes. The 24.58 percent voter turnout surpassed the 20 percent threshold needed to validate referendum results. 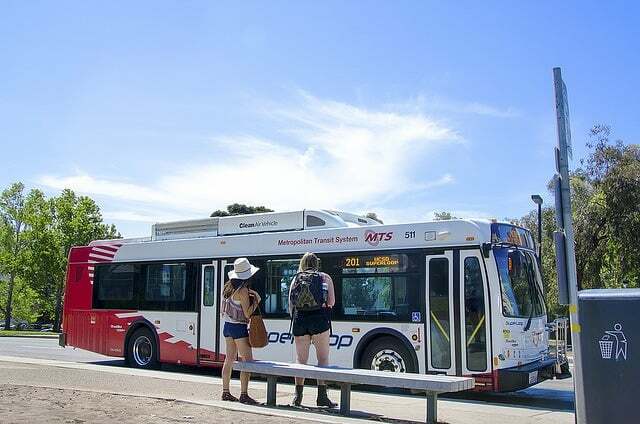 Beginning in Fall Quarter 2014, every graduate and undergraduate student will receive a Regional Transit Pass, which will allow for unlimited rides on all Metropolitan Transit System buses and light rails as well as all services offered by the North County Transit System. Fees are set to rise by $49.96 per quarter with a 1.5-percent annual increase to accommodate inflation, according to the official text of the referendum. As a mandate of all student fee increases, 29 percent of the new fee’s revenue will be returned to financial aid. The remaining 71 percent will go toward the purchase of the Transit Passes for all students and to operate a new Student Transportation Advisory Committee, which will allocate any remaining funds. CORRECTION: An earlier version of this story did not make clear that the nearly $50 increase will be a quarterly fee, not a yearly fee. Stay informed with the UCSD Guardian as this story develops. Just a note. I think people were so convinced that if this didnt’ pass, all types of bus transit on campus would be taken away due to lack of funding (like the Arriba/Nobel Shuttles). Its just too bad how much misinformation was put out there, and now tons of commuters (and people who have cars on campus) who actually drive to school and never use the bus have to pay $150 for a service they’ll never use. BTW, the people with cars already paid for all the shuttles and now they will pay more to not take them. Unfortunately people too often think of the short term benefits and not the long term implications of these votes. And I agree about the misinformation the few people I talked to believed that the shuttles would be cut if this didn’t pass.